Scientists recently discovered the hottest planet ever found – with a surface temperature greater than some stars. As the hunt for planets outside our own solar system continues, we have discovered many other worlds with extreme features. And the ongoing exploration of our own solar system has revealed some pretty weird contenders, too. Here are seven of the most extreme. How hot a planet gets depends primarily on how close it is to its host star – and on how hot that star burns. In our own solar system, Mercury is the closest planet to the sun at a mean distance of 57,910,000km. Temperatures on its dayside reach about 430°C, while the sun itself has a surface temperature of 5,500°C. But stars more massive than the sun burn hotter. The star HD 195689 – also known as KELT-9 – is 2.5 times more massive than the sun and has a surface temperature of almost 10,000°C. Its planet, KELT-9b, is much closer to its host star than Mercury is to the sun. Though we cannot measure the exact distance from afar, it circles its host star every 1.5 days (Mercury's orbit takes 88 days). This results in a whopping 4300°C – which is hotter than many of the stars with a lower mass than our sun. The rocky planet Mercury would be a molten droplet of lava at this temperature. KELT-9b, however, is a Jupiter-type gas giant. It is shrivelling away as the molecules in its atmosphere are breaking down to their constituent atoms – and burning off. At a temperature of just 50 degrees above absolute zero – -223°C – OGLE-2005-BLG-390Lb snatches the title of the coldest planet. At about 5.5 times the Earth's mass it is likely to be a rocky planet too. Though not too distant from its host star at an orbit that would put it somewhere between Mars and Jupiter in our solar system, its host star is a low mass, cool star known as a red dwarf. The planet is popularly referred to as Hoth in reference to an icy planet in the Star Wars franchise. Contrary to its fictional counterpart, however, it won't be able to sustain much of an atmosphere (nor life, for that matter). This because most of its gases will be frozen solid – adding to the snow on the surface. 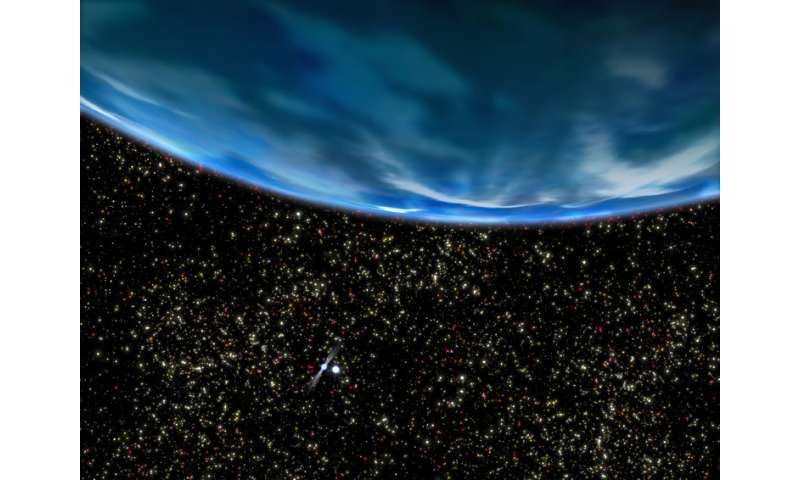 If a planet can be as hot as a star, what then makes the difference between stars and planets? Stars are so much more massive than planets that they are ignited by fusion processes as a result of the huge gravitational forces in their cores. Common stars like our sun burn by fusing hydrogen into helium. But there is a form of star called a brown dwarf, which are big enough to start some fusion processes but not large enough to sustain them. Planet DENIS-P J082303.1-491201 b with the equally unpronounceable alias 2MASS J08230313-4912012 b has 28.5 times the mass of Jupiter – making it the most massive planet listed in NASA's exoplanet archive. It is so massive that it is debated whether it still is a planet (it would be a Jupiter-class gas giant) or whether it should actually be classified as a brown dwarf star. Ironically, its host star is a confirmed brown dwarf itself. Just slightly larger than our moon and smaller than Mercury, Kepler-37b is the smallest exoplanet yet discovered. A rocky world, it is closer to its host star than Mercury is to the sun. That means the planet is too hot to support liquid water and hence life on its surface. 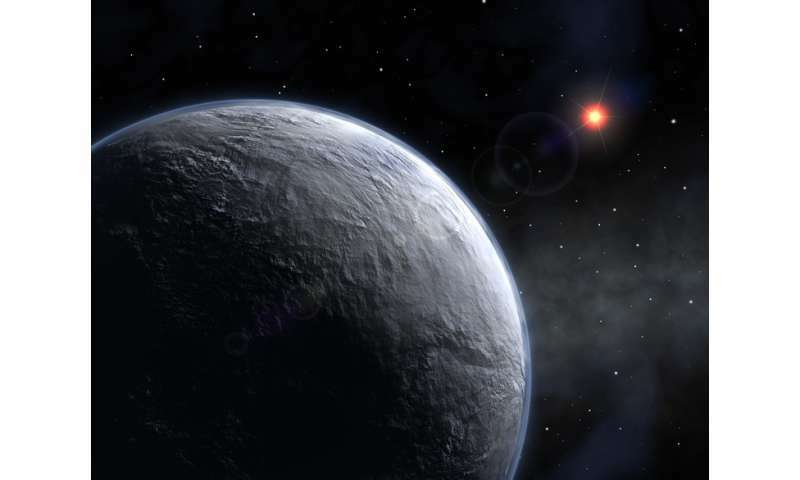 PSR B1620-26 b, at 12.7 billion years, is the oldest known planet. A gas giant 2.5 times the mass of Jupiter it has been seemingly around forever. Our universe at 13.8 billion years is only a billion years older. PSR B1620-26 b has two host stars rotating around each other – and it has outseen the lives of both. These are a neutron star and a white dwarf, which are what is left when a star has burned all its fuel and exploded in a supernova. However, as it formed so early in the universe's history, it probably doesn't have enough of the heavy elements such as carbon and oxygen (which formed later) needed for life to evolve. The planetary system V830 Tauri is only 2m years old. The host star has the same mass as our sun but twice the radius, which means it has not fully contracted into its final shape yet. The planet – a gas giant with three quarters the mass of Jupiter – is likewise probably still growing. That means it is acquiring more mass by frequently colliding with other planetary bodies like asteroids in its path – making it an unsafe place to be. Because exoplanets are too far away for us to be able to observe any weather patterns we have to turn our eyes back to our solar system. If you have seen the giant swirling hurricanes photographed by the Juno spacecraft flying over Jupiter's poles, the largest planet in our solar system is certainly a good contender. However, the title goes to Venus. A planet the same size of Earth, it is shrouded in clouds of sulfuric acid. The atmosphere moves around the planet much faster than the planet rotates, with winds reaching hurricane speeds of 360km/h. Double-eyed cyclones are sustained above each pole. Its atmosphere is almost 100 times denser than Earth's and made up of over 95% carbon dioxide. The resulting greenhouse effect creates hellish temperatures of at least 462°C on the surface, which is actually hotter than Mercury. Though bone-dry and hostile to life, the heat may explain why Venus has fewer volcanoes than Earth. They appropriated already published work.